Time is a duration or period, a measure of life which guides, disciplines and raises havoc with human existence… 24-7-365 in today’s vernacular. 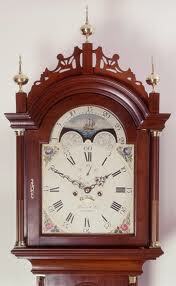 How often each day does one check a time instrument; ask about or make reference to the time? From where comes this obsession and connectedness to time and to what degree did it exist in and impact rural,colonial Concord? Perhaps surprisingly, time was important to 17th/18th Century Puritans though in a differently measured manner. It had a sacred, spiritual meaning (contrary to the later secular, materialistic ends) – God’s time. Ministers spoke of improving time usage and against its waste especially for sinful purposes. A Bay Colony law (1633) noted “No person, householder or other shall spend time idly or unprofitably.” Constables sought violations (common coasting, unprofitable fowling, tobacco taking) for punishment. Fines equal to a week’s pay were assessed for “misspending time”. Countryfolk rose at dawn, exhausted every moment of daylight and slumbered after dark. Sleeping past seven hours was unacceptable and Poor Richard exclaimed “He that riseth late, must trot all day, and shall scarce overtake his business at night”. Ben Franklin (1748) noted “…Time is Money”. Measuring time generally occurred through the daily movement of the sun, monthly passage of the moon, shifting of tides and menstrual cycles. Farmers’ cows and roosters announced the hour to rise and darkness summonsed rest. But in towns where shops outside the home became common, punctuality and time discipline in the work/market place imposed more complex needs. Clocks (domesticated by 16th Century blacksmiths) were familiar to those aboard the “Arabella” (1630) when it arrived in Massachusetts. But few would be found in the colony for many years with the first public one being mounted in 1668 in Boston where some dozen clockmakers could be found between 1683 and 1725. 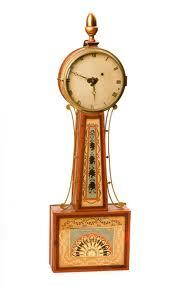 Generally, timepieces came from England or their parts were imported and assembled in the colony. Style held over technique and minute or second hands were rare well into the 1700s. To insure rising at dawn and thus no loss of hours in the brevity of life, Englishman Ralph Thoresby (1680) invented the “alarm clock”. Ben Franklin (1780s), appauled at Parisians sleeping until midday and burning candles into the night, introduced “An Economical Project” known today as daylight savings time. And to match sundials to clocks, Londoner Thomas Tompion constructed (1683) “A Table of the Equation of Days Shewing how much a good Pendulum Watch ought to be Faster or Slower than a true Sundial every day of the Year”. The cost and maintenance of time instruments put them beyond the means of most Concordians. Traditional country time-telling methods were thus used along with such innovations as the “sunline house” which faced due South on a noon sighting and its facade became a large sundial with carvings in the door faceboard or window sills noting the hours. The Town meeting-house bell tolled Sabbath services, the militia alarm and for a while evening curfew (dark/night was considered evil/dangerous and being abroad then was a crime – “nightwalking”). Those of means had timepieces, most often pocket watches. Rev. William Emerson (1767) went to Boston and purchased (for 20 dollars) a clock made in Limerick, Ireland (still in the Manse). The Town’s first timepiece was loaned by Harvard College in 1775, John Minott (1793) donated a gallery clock to First Parish which with subscriptions ($450) bought its first belfry clock (1827) and in 1826 Concord purchased its own tower clock. By the early 19th Century (1789-1835) a clockmaking industry had developed on the Mill Dam involving 7 makers, some 30 tradesmen and 20 buildings. Soon railroad and standard time, mean time, distances, longitudes and an entire time explosion occurred Daily time was given generally to the nearest hour (“between 2 and 3 after noon” or “half past three”) with minutes rarely used. Times listed for events (the Battle of North Bridge) were often guesses based on the sun and other factors or with the aid of an occasional pocket watch. “Local Apparent Solar Time” was an accepted standard but later could be translated to Eastern Standard in the Boston longitude by subtracting 25 minutes. Tracking and quantifying time had occurred for centuries through the numbering/naming of days into weeks, months and years. The Julian calendar (46 BCE) changed to the Gregorian in 1582 but England and the colonies lagged until 1752 and thus the 11 day date problems. Annual cycles in time and life were also in conjunction with religious days (Easter) and such local social activities as Election Day, Militia Training Day, Commencement Day, Day of Thanksgiving and especially in Concord opening day of the Circuit Court and County Conventions. Like today, time played a critical, compelling (if different) role in the daily lives of colonial Concordians. We are from whence we came and such is reflected in the study of time. Again from Poor Richard, “If you have time, don’t want for time…. Up, slaggard, and waste not life; in the grave will be sleeping enough”. The more truisms and times change, the more they stay the same. It is time to say adieu. Source:”Concord Mass. Clockmakers 1789-1817″ by David F. Wood, Antiques – The Magazine, May 2000.